Hydroalcoholic Solutions obtained from fresh plant have the advantage of preserving all the active principles of the plant at the time of collection. They maintain plant energy and make the principles more bioavailable for the human body, increasing their effectiveness and their virtues on the various systems of the body. Most of the plants come from wild harvesting while the remaining are from organic crops. 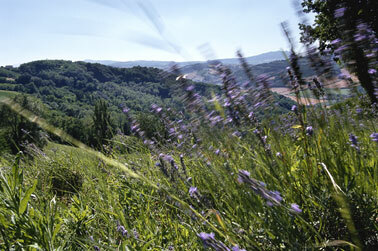 The wild species are collected in the Apennines (Ligure and Romagnolo) and a small part in the Alps during their balsamic time. They are then placed in maceration within six hours of collection in a hydroalcoholic solution to different degrees according to their characteristics. Each plant is, in fact, drawn to its optimal temperature. The plants that contain essential oils, for example, require an alcohol content of at least 60 °, those in which the extraction of alkaloids is dominant require an alcohol content of 55 °, starches, salts, saponins etc. can be transformed at lower gradations. When is necessary is made first the water extraction and only secondarily in alcohol (the mallow and other plants containing mucilage, or Devil's claw for the extraction of iridoid principles are put before soaking in water to allow you to get most of the principles that are water-solubleand then completed in alcohol. The soaking time should be at least six months and the macerate frequently and regularly mixed. After the maceration follows the press and filtering, then the dyeing obtained is reported in volume. 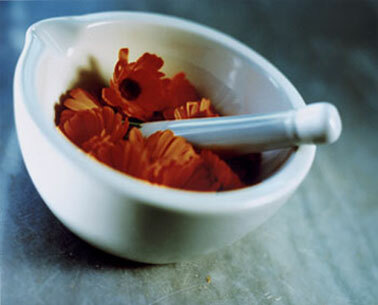 To growing number dyes is added the plant's salt obtained from the calcination of the remaining pressing. The calcination of what remains from the plant, after pressing it, allows to obtain the ashes that will be washed in rain water. By evaporating the filtered water crystals will be obtained from the ashes. Will then be washed (at least seven times) to make them white and fluffy as snow. The salt is then dissolved in the dye. The completion of the extract will be obtained after adding the essential oil according to the spagyrical preparation. A slight deposit of such solutions will be indicative of their vitality and integrity.